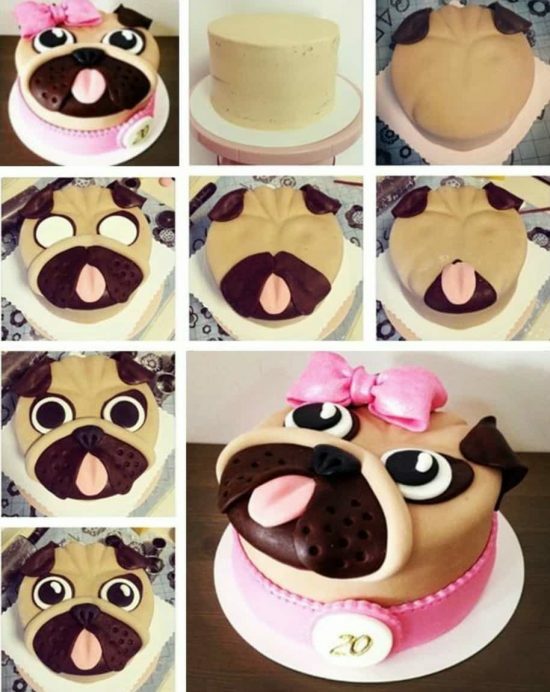 Are you on the hunt for Pug Cake Ideas? You will love this collection of super cute ideas and we have included video tutorials too. View now, you’ll love what you see. 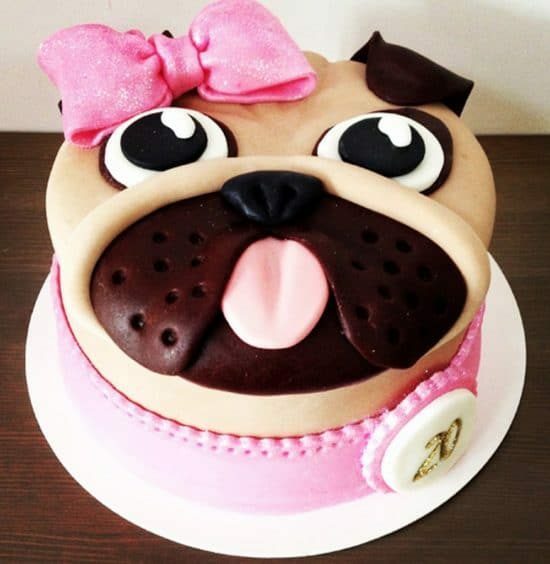 When it comes to Cakes, this Pug Cake is a show stopper! This could easily be transformed into a Boy Pug Cake if you preferred. As you can see from the Pictures, it’s surprisingly easy to recreate. Given there is quite an amount of fondant, maybe you could use the Marshmallow Fondant for this recipe. It is less sickly than usual and easy to make. This Pug Cake is from Fat Bunny Bakery. Learn how to make a wonderful Pug Cake by viewing this easy to follow video tutorial. 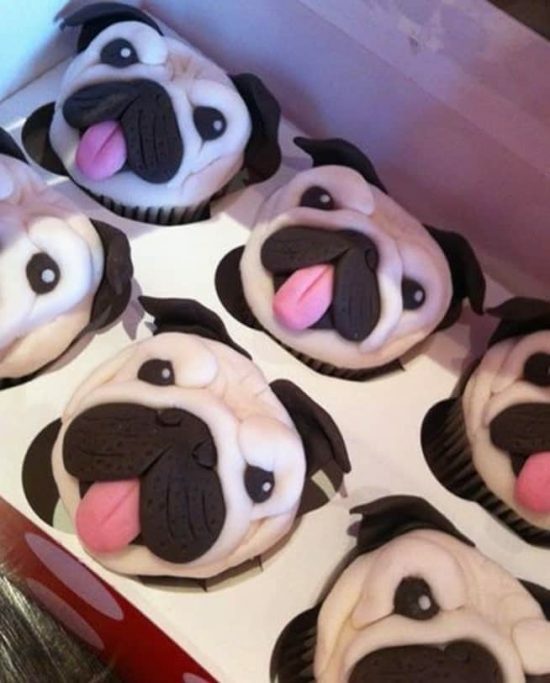 We found these super cute Pug Cupcakes on Shereen’s Cakes on Facebook and are they not the cutest you have ever seen! 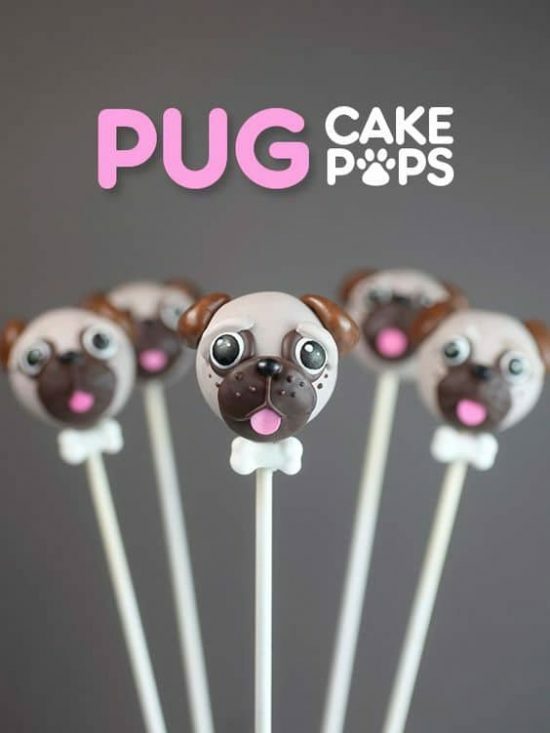 They would be perfect with your large Pug Cake and you could place your Cake at the top of a Cake Tray and layer the lower levels with these Pug Cupcakes. This would make a fabulous Pug Cake Tower Centrepiece and they are easy to recreate. It’s worth practicing until they are perfect. The look on your guests face will be priceless when they see them! 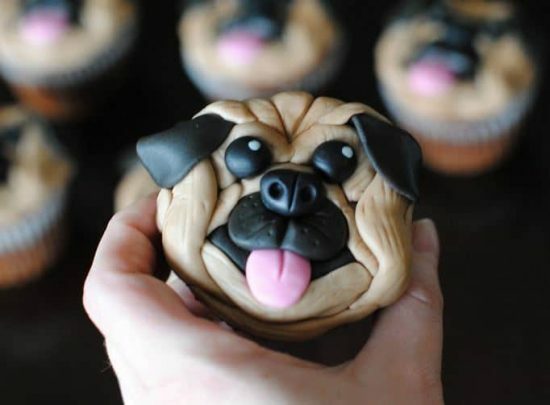 Keep scrolling for lots of ideas and we have included a video that shows you how to make these Pug Cupcakes too. Are you ready to learn how to make these adorable Pug Cupcakes? If so, you will love the video tutorial that we have included for you below. Click Play below to watch now. Over on Bakerella they have gone a step further and made them into bite size Cake Pops. They definitely deserve an invite to your next Party!